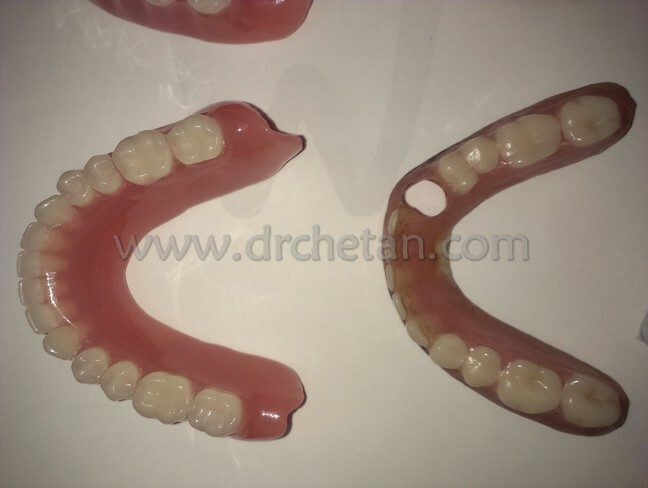 Quacks are no less in Dentistry, and these are the ones who look for the simplest and easiest ways to treat the patient, although this is unethical and not a true practice, for the reasons that, firstly they are not trained and certified to do so, and secondly because they use the wrong methods to treat the patient and give them the temporary happiness but cause permanent problems in the mouth which the patient doesn’t realize until something serious happens. 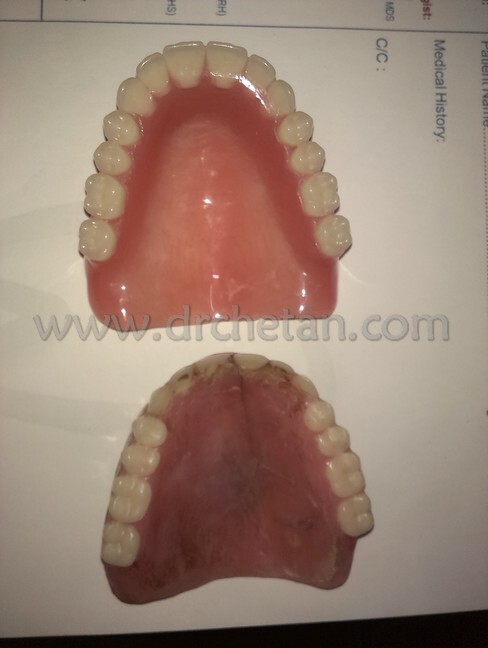 Below are a few photos showing the Complete denture that we placed in a patient’s mouth which has been using a denture which has the watcher placed in the palatal side for the suction rather than using the conventional and the actual way of border sealing or creating the palatal seal. 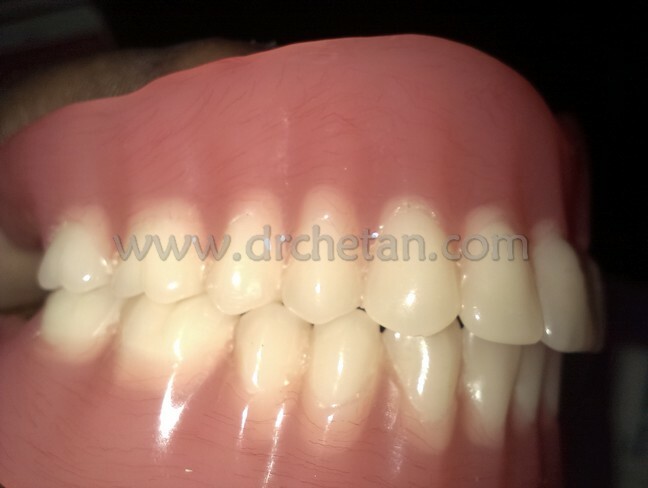 The picture below shows the lower denture, which had all except one tooth, which the previous dentist chose to leave the tooth as it is although it was a little mobile as said by the patient. The sulcus depth increased by time. 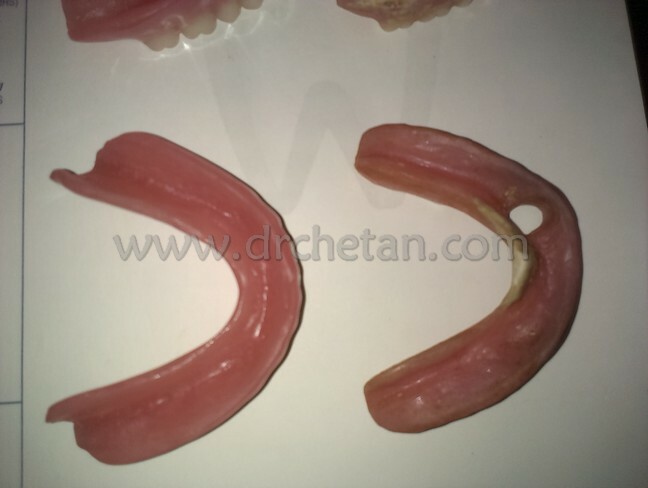 The upper denture, as you see, has the watcher which we are talking about. It’s a metal pin with a leathery plate around it, which gets stuck to the palate and helps in the suction. 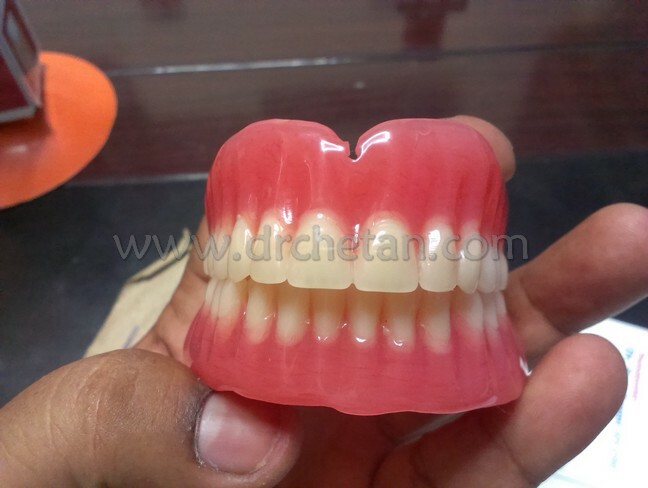 It appears normal and no different from a normal complete denture when seen from the other side, because the watcher is placed on the palatal side, and thus, the patient doesn’t have anything to complain about. 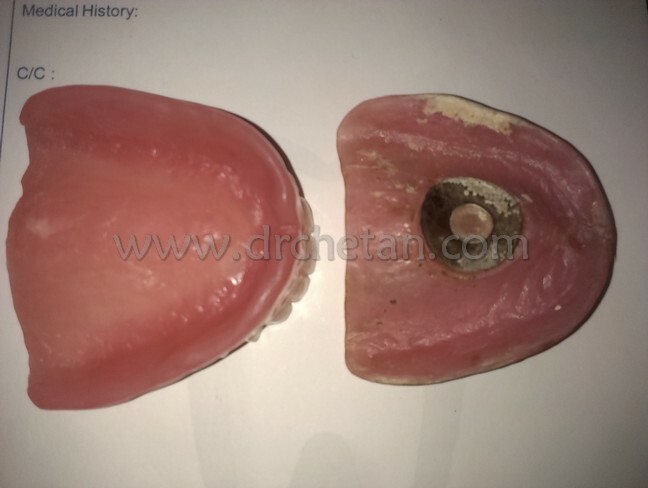 Below is the new denture that we placed after assessing the palate and whether there was any serious bone resorption in the area where the accessory for the suction was placed. Luckily, the patient didn’t get any direct opening in the palate as is the case with many others who had got this kind of treatment done. Thus, we proceeded with the CD preparation and it was all normal. 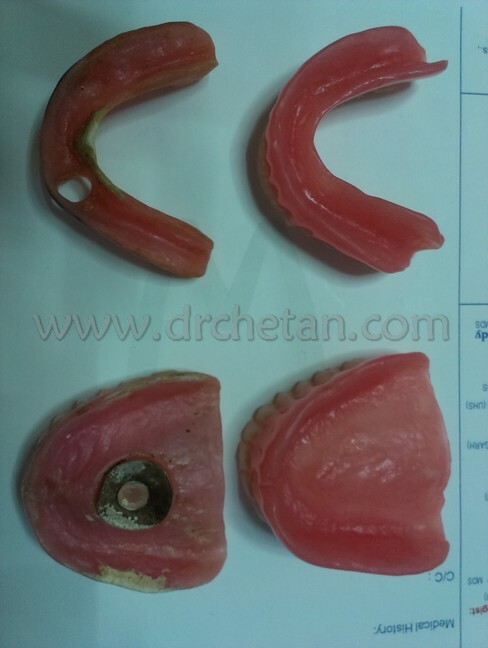 Case done by Dr. Karthik Dutta.